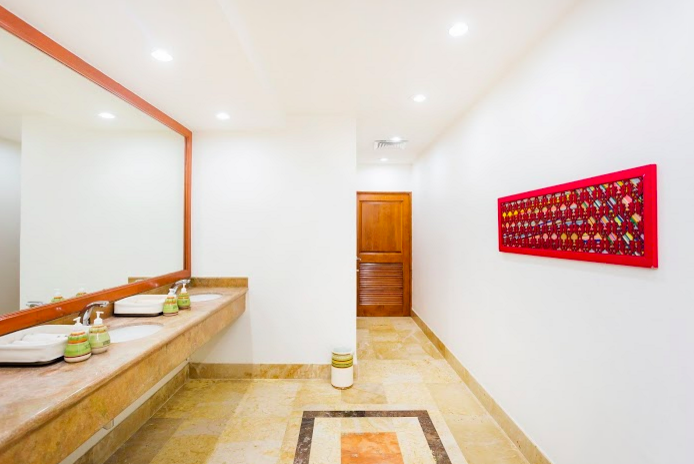 The Hilton Los Cabos hotel is an upscale, beachside resort tropically stationed amidst the palm trees of the southern coast of Mexico’s Baja Peninsula. Our curated collection invokes contemporary culture and vibrant local history, embodying the region’s evolving identity, first as a remote outpost for missionaries and now as a destination for modern adventurers. To express the region’s rich past and playful present, we featured works that illustrate notable Mexican legends while highlighting the natural beauty of the environment. 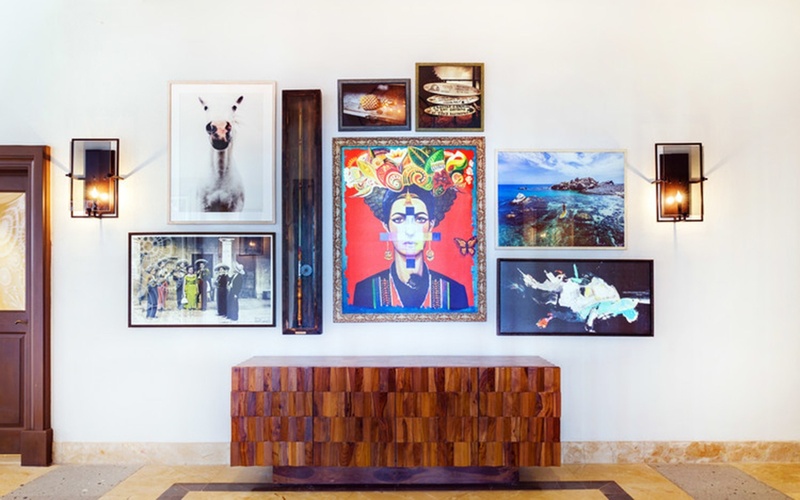 Several photographers, painters and sculptors contributed their work to visualize the ethos of the Hilton Los Cabos. Read on to discover the artists who made this collection come to fruition! Katy Helen is a painter and sculptor whose glass mirror mosaic artwork celebrates originality, quality, and nature. 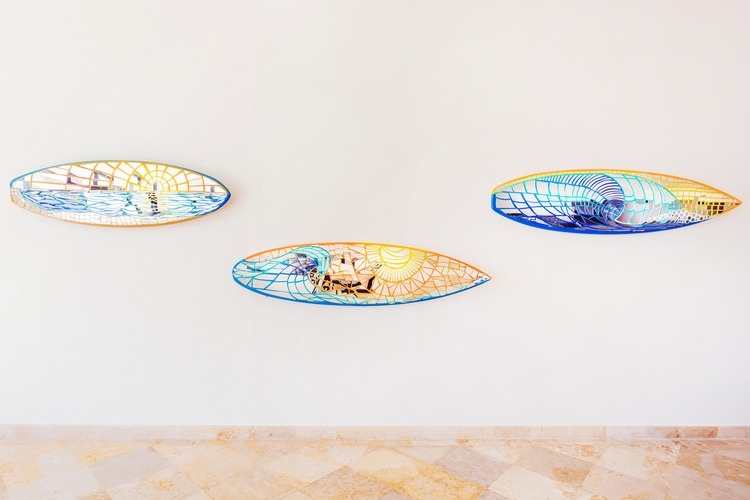 She repurposes old surfboards and transforms them into canvases. 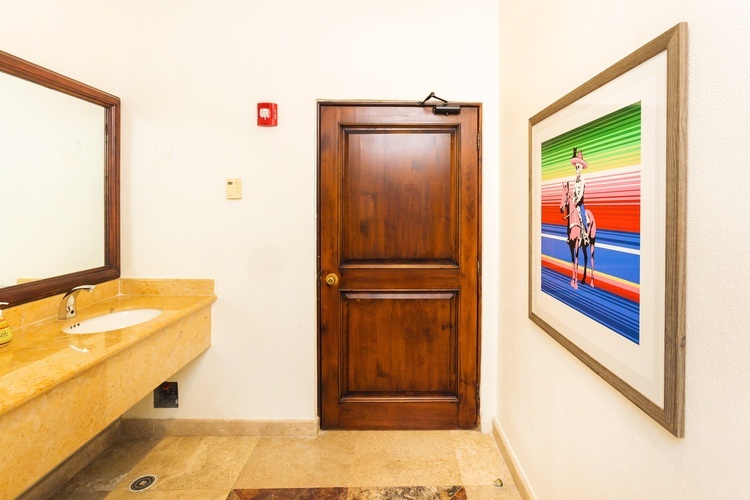 These vibrant pieces are exhibited on the walls near the outdoor pool area, adding elements of fun and color to the scene. Mark Johnson is an award-winning, professional outdoor photographer. His favorite subjects include waves and coastal scenes, travel, sports, and nature photography. 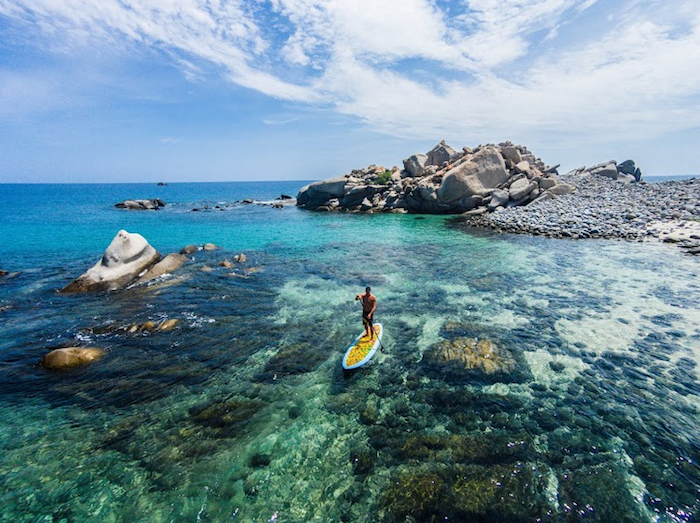 This gorgeous image captures the beauty of the ocean, inspiring visitors to take advantage of their seaside surroundings. 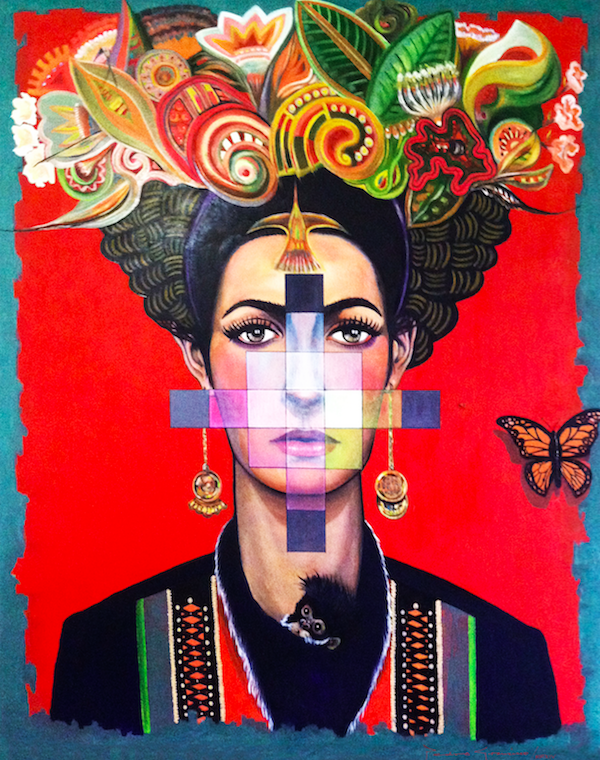 Pedro Francisco Rodriguez Delgado is a mixed-media artist and painter influenced by traditional South American imagery. The aesthetic of this work draws on traditional styles embedded in the history of Los Cabos. Jason Archer is an artist living in Austin, Texas. He has created a variety of artworks as a director, animator, painter and muralist. Archer's "Stray of the Dead" draws on Mexican influences, mainly the Day of the Dead, representing the journey of the soul into the afterlife. His works adorn the walls with festive, bright color. Mexican artist, Alejandra Zermeno, creates sculptures and flat woodcut reliefs that explore how people construct their identities through materials and memory. For this project, Zermeno was commissioned to design two original woodcut wall pieces. 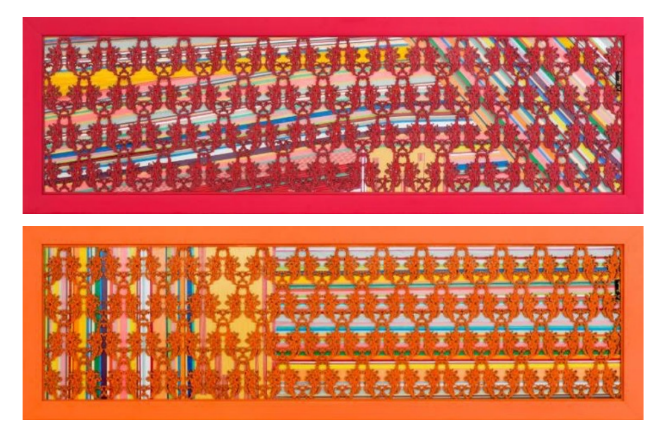 "Cellular Symphony in Red" and "Cellular Symphony in Orange"
Tell us what you think of our collection at the Hilton Los Cabos and stay tuned for updates on how artists are making these exciting projects happen!